The beautiful Moroccan-Canadian model, actress and dancing diva Nora Fatehi who is known for her belly dancing and pole dancing is up for a new challenge. 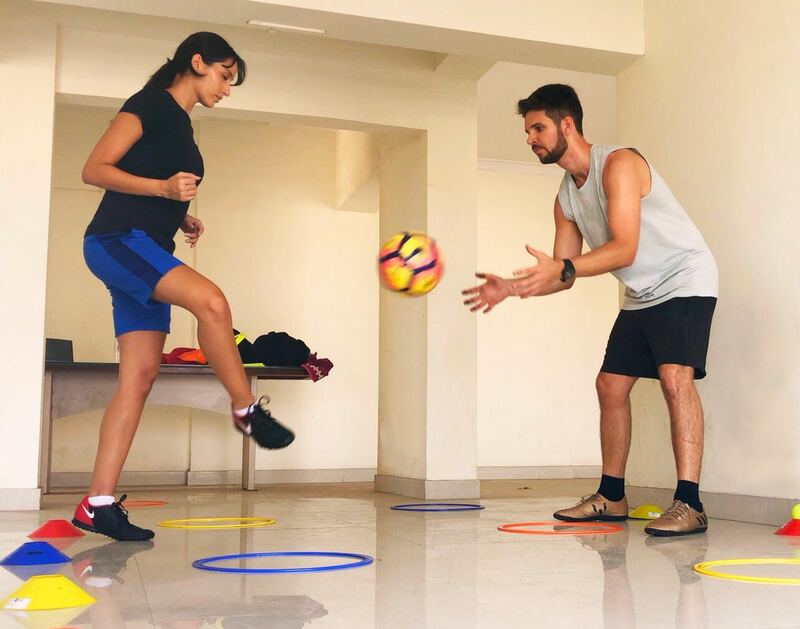 After having wowed the audiences with her various dance numbers in films like Bahubali, Nora Fatehi is currently busy learning a new skill, the actress has taken up to learn the skills of the sport, Football. 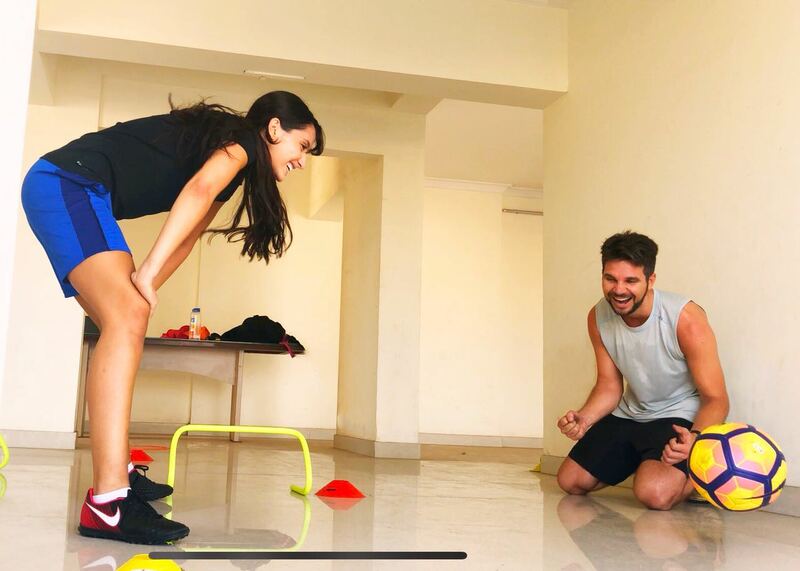 Nora is undergoing training and practice sessions for football under celebrity coach- Govi Tyler who is known to train the All-star football club team that includes Ranbir Kapoor, Abhishek Bachchan etc. Gov is also the football trainer of Bollywood favourite male star, Ranveer Singh. Nora is been learning the tricks and tips of this game with great passion and determination. She’s an avid fitness freak and loves taking up newer ways to keep herself fit. Speaking about her love for the game and training with Govi, Nora said, “Being sporty at heart, I’ve always wanted to learn football ever since I was a child but I never got the chance because growing up my family didn’t have the finances for extra curricular activities. I always told my self that when I grow up and start earning i will enrol my self into classes. This year it was one of my New Years resolutions. My first session was just mind blowing I felt I was doing something I always wanted to do it felt so right. Govi is brilliant he knows what he’s doing he pushes me so much and has so much faith in me. He is the perfect trainer and always try’s his best to make time for my sessions. I can say for a fact football is defiantly my sport and I can’t wait to show the world what I can do in the near future”. She was last seen in Sameer Soni’s ‘My Birthday Song’ and will soon be seen shaking a leg in a Malyalam film.